Frans van Schooten's name can also be written as Frans van Schoten or Frans Verschooten. Sometimes the Latin version Franciscus van Schooten is used. We should refer to the subject of this biography as Frans van Schooten Junior so as not to confuse him with his father, Frans van Schooten Senior (sometimes called The Elder), who was also a mathematician. Frans van Schooten Senior was born in 1581 in Nieuwkerke in West Flanders, but when he was two years old his father (the grandfather of the subject of this biography), who was a baker, fled to avoid the advancing Spanish troops. The family were Protestants and so feared for their lives both from the Catholic troops and from the Inquisition. They settled in Leiden where van Schooten Senior's brother Joris van Schooten was born in 1587. Joris became a painter and his work can still be seen in the Lutheran church in Leiden and in museums; perhaps he is most famous for having Rembrandt as a pupil. Frans Senior married Jannetgen Haermansdr van Hogenvorst from Delft in 1609. Their first child was Frans van Schooten Junior but certainly by 1625 Jannetgen had died and on 31 March of that year his father remarried. His second wife was Maria Gool, the cousin of his colleague Jacob Gool. Frans van Schooten Senior studied mathematics under Ludolph van Ceulen at the Engineering School in Leiden. However, van Ceulen died in 1610 while van Schooten Senior was still a student. In 1612 van Schooten Senior filled the vacant position at the Engineering School, and he was given the title of professor three years later. Van Schooten Senior published works such as a treatise on perspective in 1600, Tabulae sinuum tangentium secantium, ad radium 10000000 Ⓣ in 1627, and a Dutch translation of Euclid's Elements. We should say a little about the Engineering School at Leiden, for it plays a major role in the lives of Frans van Schooten Senior, Frans van Schooten Junior, and Pieter van Schooten (the half-brother of the subject of this biography). Prince Morits August of Orange, a son of William of Orange, became Stadtholder of Holland and Zeeland, and Admiral of the Dutch fleet, in 1585. He needed administrators, calculators, surveyors, mapmakers and fortress builders so decided to set up an Engineering School where such skills could be learnt. In 1600 Prince Morits asked Simon Stevin, who was in his service as an advisor, to set up an engineering school within the University of Leiden. Stevin drew up the mathematical teaching programme for the School and Ludolph van Ceulen and Simon Fransz van Merwen were appointed as the first lecturers in the School. It was housed in a vacant convent - in fact many monasteries were empty at this time either because the Catholic monks had voluntarily left Protestant Holland or, in some cases, because they had been driven out. Rudolph Snell (1546-1613) was the professor of mathematics at the University of Leiden and also supervised the examinations at the Engineering School. After his death in 1613 his son Willebrord Snell succeeded him. Willebrord Snell died in 1626 and was succeeded by Jacob Gool whom we mentioned above. As well as being professor of mathematics, he was also the professor of Arabic. Van Schooten Junior had been taught by his father and had studied mathematics, French and Latin before he enrolled at the University of Leiden on 15 May 1631. He had a good background in mathematics having studied Michael Stifel's edition of Christoff Rudolff's Coss and read both Dutch and French editions of works by Simon Stevin. He had read Ludolph van Ceulen's Arithmetische en geometrische Fondamenten Ⓣ, Albert Girard's Invention nouvelle en l'algèbre Ⓣ, as well as Girard's edition of Stevin's Arithmetique and Bonaventura Cavalieri's work on indivisibles. Van Schooten was also familiar with the classical Greek texts having read Frederico Commandino's editions of works by Archimedes, Apollonius and Pappus. At the University of Leiden, he studied mathematics under professor Jacob Gool. It was through Gool that van Schooten Junior was first introduced to Descartes in 1632. While he was a student, his half-brother Pieter van Schooten was born in Leiden on 22 February 1634. Pieter also became a mathematician and architect, and later taught at the Engineering School in Leiden; he died in 1679. Van Schooten Junior graduated with his Artium Liberalium Magister from the University of Leiden in 1635. After graduating, he began teaching at the Engineering School. Two years later when Descartes was visiting Leiden he again met van Schooten Junior. At this stage Discours de la méthode Ⓣ with its appendix La Géométrie Ⓣ had not been published and Descartes asked van Schooten Junior to assist with making the illustrations. He also made a portrait of Descartes, one of the few that exist. That he was a talented artist should come as no surprise, for we mentioned above his artistically talented uncle Joris van Schooten. Strongly influenced by Descartes, van Schooten Junior wrote Recueil de calcul pour l'intelligence de la Geometrie de Monsr des Cartes Ⓣ, a short work on symbolic algebra, around 1639. 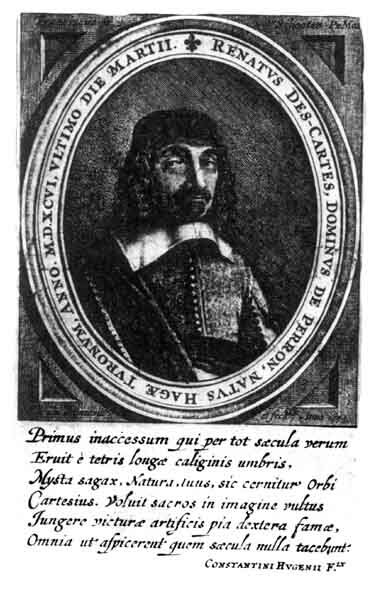 This contact with Descartes proved important for van Schooten since Descartes provided contacts for van Schooten to become acquainted with Marin Mersenne's circle in Paris on an extended period of travel. Around 1641 he set out, travelling first to Paris where he met Mersenne and learnt about the mathematical advances made by Viète and Fermat as well as having the opportunity to further his studies of Descartes' works. Fermat's results were contained in treatises that were circulating in manuscript form and van Schooten took the opportunity to make copies of them. While in Paris he also obtained manuscripts of Viète's work and, after his travels were over, he published them in Leiden as Viète Opera mathematica Ⓣ in 1646. Given that we said that he had made copies of Fermat's manuscripts, it is reasonable at this point to wonder why he did not publish these on his return. The answer is that he wanted to publish them but publishers were not interested. Publishers then, as now, want to know that the material they are publishing is of high quality, and Descartes had made it known that he considered Fermat's contributions to be of little value. May we suggest that this was not poor judgement on the part of Descartes, rather it was because Descartes was trying to push the thesis that only by using his 'method' could discoveries such as Cartesian geometry be made so he played down Fermat's work. Continuing his travels, van Schooten left Paris and went to London where he stayed until 1643 discussing mathematics with leading mathematicians there, finally visiting Ireland before returning to Leiden. He continued to correspond with the mathematicians that he had met on his travels after his return. Unfortunately this correspondence is now lost. In 1643 van Schooten became assistant to his father and when his father died two years later he was appointed to his father's chair. At this stage van Schooten was not married but lived with a housekeeper Margaritgen Wijnants from Meppen. The house was in Herensteeg, a street overlooking the Pieterskerk (St Peter's Church) which contained van Ceulen's grave with a tombstone on which 35 places of π were engraved. By 1649 van Schooten and his housekeeper had a common will, and they were formally married on 19 July 1652. There is no record that they had any children. Descartes lived in the Dutch Republic from 1629 to 1649, the period of his greatest productivity. Living a retired bachelor's life, he made his ideas known through highly advanced books and correspondence with his peers. His only mathematical book, the 'Géométrie' of 1637, was sketchy and at many places obscure. The triumph of Cartesian ideas in mathematics, the creation of a Cartesian school of thought, both in Holland and to a certain extent also abroad, is in no small degree due to the Leiden professor Frans van Schooten. [Van Schooten] was very interested in and well aware of the important new developments in mathematics which combined geometry and algebra into analytic geometry. This new branch of mathematics enabled the mathematician to study properties of curves by algebraic means. There were some connections to physics ... but on the whole van Schooten confined himself to mathematics proper. He translated the 'Géométrie' into Latin (1649, second edition 1659-61), he wrote comments and explanations to it, transformed it into a systematic theory, and took it as a starting point for further exploration. In this manner he brought the new developments within the reach of his students and colleagues. Van Schooten had several bright private students, Christiaan Huygens, Johannes Hudde, Henrik van Heuraet, Johan Witt and others, constituting an active audience for Cartesian mathematics. ... The structure of the group primarily depended on personal contacts with van Schooten, who guided his chosen students into doing research, and would include their results in his own publications, especially in the 1659-1661 edition of the 'Géométrie'. This 1659-1661 edition contained appendices by three of van Schooten disciples, Jan de Witt, Johan Hudde, and Hendrick van Heuraet. He had earlier published De organica conicarum sectionum in plano descriptione, tractatus (1646) which was reprinted as part of his major work Exercitationes mathematicae libri quinque (Mathematical exercises in five books) in 1657. Among the interesting problems he studied in his 1646 work was how to write the nth root of a + √b in the form x + √y, and the problem of constructing a cyclic quadrilateral of given sides, one side being required to be the diameter of the circle. The five books of Exercitationes mathematicae each have about 100 pages, so the whole work is quite a large treatise. Book I gives a review of arithmetic and basic geometry. In Book II, Constructio problematium simplicium geometricorum, he studies straight edge constructions for solving geometrical problems, followed by an attempted reconstruction of the works of Apollonius on plane loci in Book III. In Book IV, Organica conicarum sectionum, which contains the earlier publication, he studied the problem of drawing conic sections mechanically. He gave the, now standard, method of drawing an ellipse with a piece of string whose ends are attached to two pegs. Several of the instruments he designed are described and illustrated in . Book V is titled Sectiones triginta miscellaneas and develops combinatorial techniques for counting problems. Fermat and Descartes had discovered new pairs of amicable numbers some years before (pairs of numbers, the sum of the factors of one number being equal to the other number). In this book van Schooten gives a methods to find these numbers which he hoped would lead to the discovery of further pairs of amicable numbers - this however did not happen. Typical of van Schooten's publications, Exercitationes mathematicae Ⓣ also contained an appendix by one of his students. This was the important work on probability De ratiocinis in ludo aleae by Huygens. It was from Exercitationes mathematicae Ⓣ by van Schooten that Isaac Newton learnt much of his mathematics while a student at Cambridge. After Frans van Schooten died in 1660, his half-brother Pieter van Schooten was appointed to the chair at the Engineering School at Leiden becoming the third van Schooten to hold this chair in succession. Pieter van Schooten continued in this position until his death in 1679. Schooten possessed an excellent knowledge of the mathematics of both his own time and earlier periods. Beside being an extraordinarily industrious and conscientious scholar, a skilful communicator, and an inspiring teacher, he was a man of rare unselfishness. He recognised his own limitations and did not seek to overstep them. Fascinated by the personality and ideas of Descartes, he worked hard to popularise the new mathematics; his highly successful efforts assured its triumph.